Did you have all a merry Christmas? Did you enjoy the holidays with your family and friends! I sure did but I am happy to be back to my crafting table with a little time to spend there! 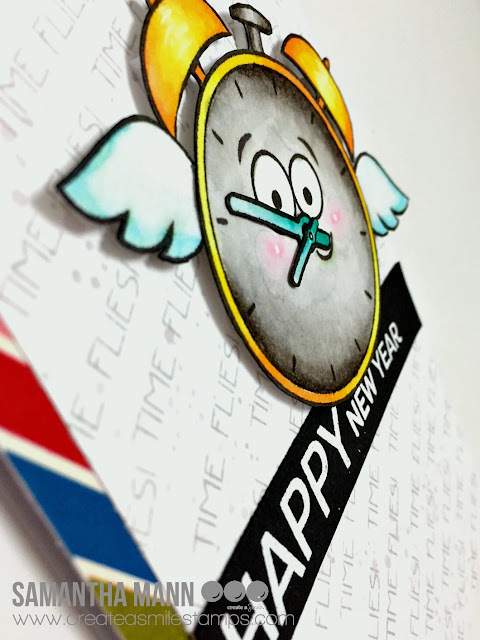 Today is december 31 - of course I had to made a Happy New Year card! I created the background by ink blending and using the hearts stencil. Then I die cut a recatangle from that paper. I stamped the fox with Memento ink, coloured it with Copics and fussy cut it. For the sentiment I heat embossed the happy in white on black cardstock and fussy cut it, too. The second part of the sentiment I embossed in white, too, but this time on turquoise cardstock and cut it into a narrow stripe. Then I assembled the card. You get a soft background when you add first a layer of ink blending and then using the stencil! I t makes the edges less harsh. I love to use the Double Stiched rectangles white on white on my cards to create a subtle frame. Next week will start a new challenge on the blog with a fabulous prize! I just can't believe that 2016 is this close to ending! Where did the time go?! - stamp and color your clock image! The best part about this stamp set is you can customize the clock any way you want! 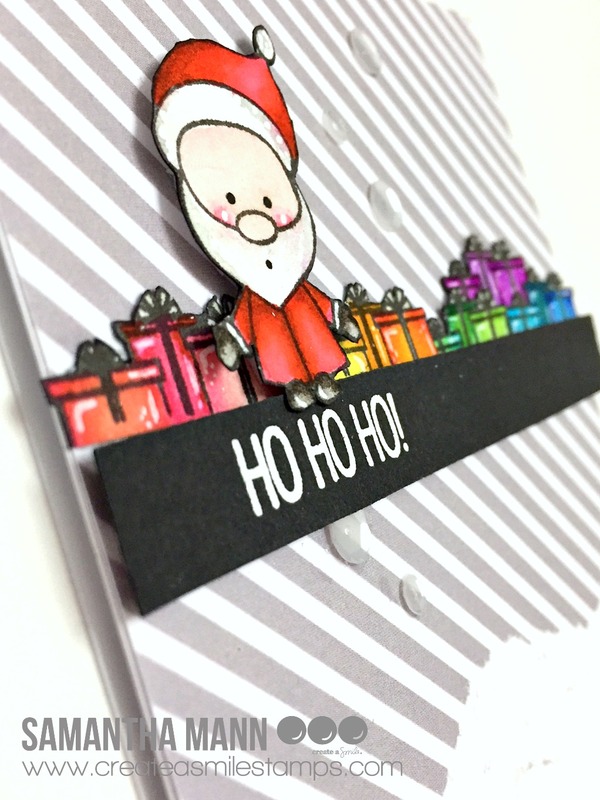 - on the card front, repeatedly stamp the phrase on an angle over the whole card. This card could be an EASY one layer card! Stamp the clock, mask it off and then repeatedly stamp the diagonal phrase. DONE! You now have New Years cards to hand out, in case you missed the Holiday cut off! :) Ha! 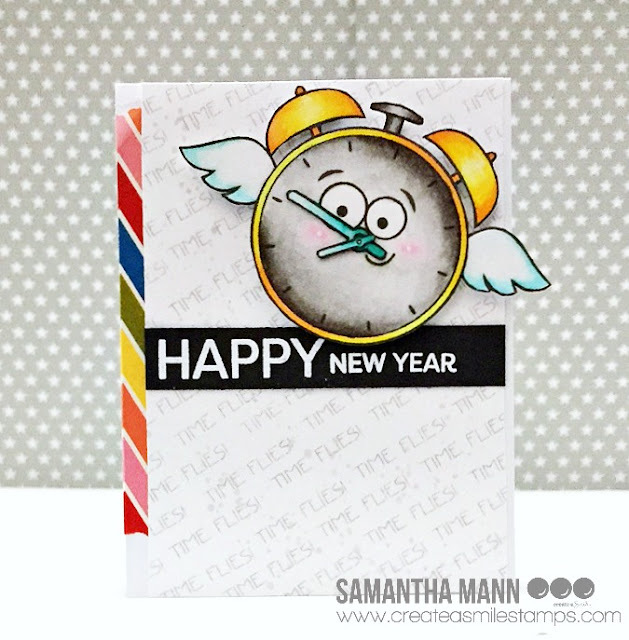 I used the SUPER cute Time Flies stamp set along with the very versatile Happy Days stamp set! For a full supply list, check out my blog! Samantha here and today I'm sharing a very festive and fun Christmas card, since we're T-minus 2 days and counting! Lol! I love Christmas! I love Christmas cards! And I love rainbows! COMBINE ALL THE LOVES! lol! Let's make this card! It's easy! - once dry, fussy cut and set aside! 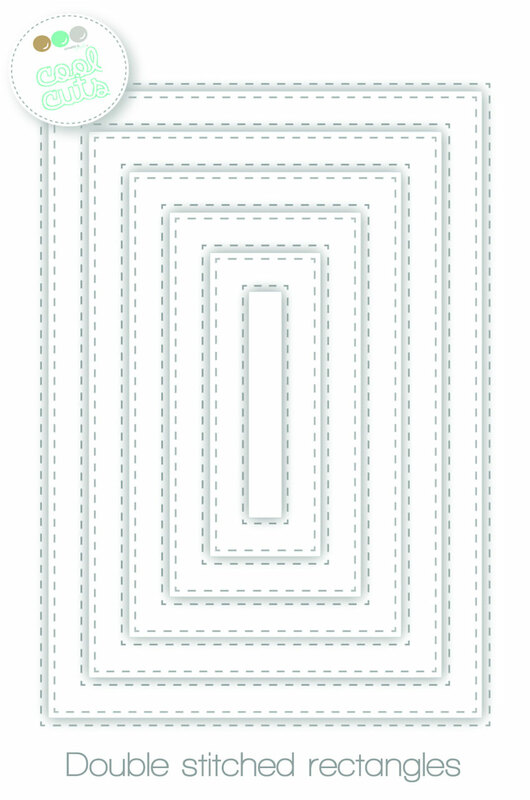 - cut down your favorite patterned paper to the size of a card front, and then tear about 2-3 inches along the bottom! I used some patterned paper from the Snow Dance Kit! 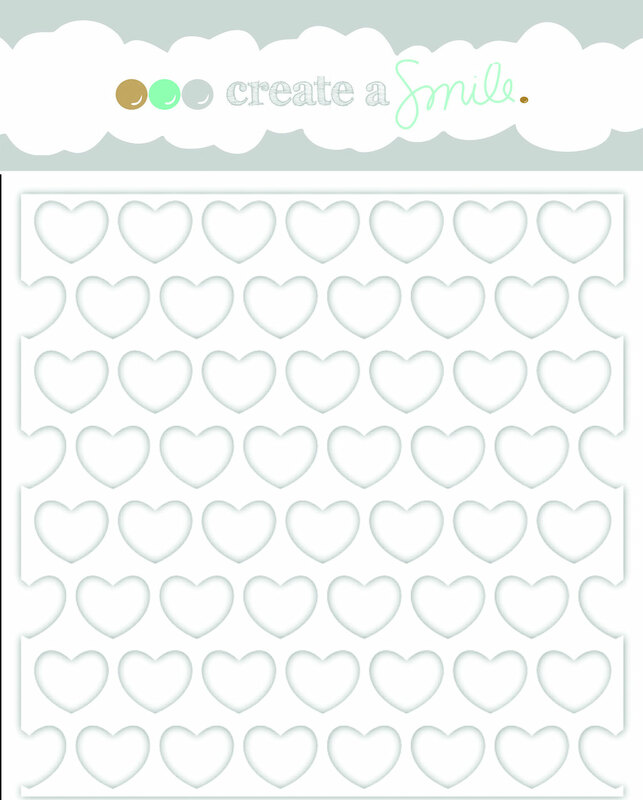 Love Create a Smile paper! 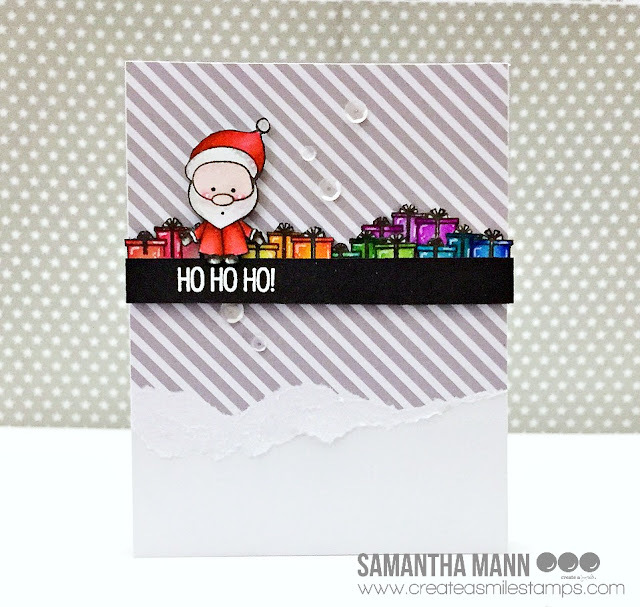 - I popped up the santa and heat embossed the sentiment onto a black strip of cardstock! - the presents were tucked behind the santa and under the banner! - a few clear sequins finished the card! Since the images are so small, it's easy to color! I tried to add some dimension, but really, you could get away with one marker per color and be just fine here! I used the super cute Snow Dance Mini Set for my card! I LOOOOOVE that little Santa! Merry Christmas everyone! Only a couple of days left, so thought I would say it with help of a little card. This is a clean and simple card, it's also pretty quick to make, if you still need something to send to a friend. When I saw the "With Candles and Glitter" stamp set I knew I wanted to make this card, and bling it up with as much glitter as possible. My idea was to use several of the candles but still keep the card very clean and neutral. I did this by using neutral colors that coordinate with the glitter. The techniques behind getting this result is quite easy and here is a video on how I did step by step. The thinner the layer of glitter is the faster it dries, so if you really want to make the card quick, add just a little bit. Or use a glitter brush pen like the Wink of Stella, that dries immediately. Raluca here with a clean and simple Christmas card. This time of year I'm really busy with Christmas preparations, so there's not a lot of time left for my hobby. The problem with this is that I still feel the need to craft something so I always try some easy designs. * first I die cut a white panel with the largest stitched rectangle. * on that panel I added white texture paste using the stencil included in last year's winter kit. * over the wet paste I sprinkled red glitter and I let it to dry. the "merry" word and on a white piece of cardstock I formed the "X-mas" word from the mint alphabet stickers. * after everything was dry I added the sentiment and some clear droplets on the panel and I mounted it using craft foam on a white card base. You can recreate this design using any stencils you may have home and any glitter. I'm sure it will look amazing. Ho ho ho, from Santa! Warm Thoughts on this Cold Day!